If you want to earn cash for your scrap metal or recycling materials, just come to Mid-City Scrap Iron & Salvage in MA. People may be somewhat overwhelmed on their first visit as our facility is bustling with large trucks and vehicles, equipment and lots of people coming and going. But once you know how it all works you’ll find that it’s a very simple process. Q – What is “ferrous” scrap metal? A – Any metal that contains iron is considered ferrous. You can quickly identify ferrous metal by checking it with a simple magnet. If the magnet is attracted to your material it is ferrous. Q – How do I recycle ferrous scrap metal? A – Ferrous scrap metal is recycled using the same 8-step process that is found on our “Weigh In, Weigh Out – Get Paid” page. Our trained, certified Scale Operators will check over your scrap to classify the material. 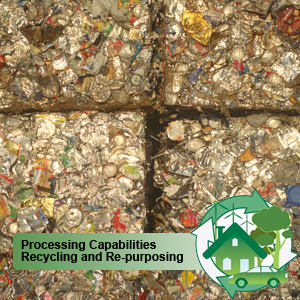 The scale ticket that you receive from the Scale Operator will identify the type of material you are recycling. You will be directed where to unload the material. Make sure to hang on to your scale ticket, and if you aren’t sure where to go, just stop and ask anyone working at Mid-City Scrap in Westport, MA for directions. Follow the rest of the 8-step process and go to the Scale Office to receive your payment. Q – Are there different grades of ferrous scrap metal? A – In most situations you may have different grades of ferrous scrap metal that have different values, for example you may hear terms like, “#1 steel or light iron”. When you first drive onto the truck scale, our knowledgeable certified Scale Operators will identify the specific grades of scrap ferrous metal. If you know you have various grades of ferrous scrap metal, be sure to mention it to the scale operator. Once the scrap metal has been identified, the scale operator will give you a weight ticket and may tell you to unload only one specific type of ferrous scrap metal, such as #1 steel and where it should be unloaded. After unloading your “#1 steel” you must return to the scale to be reweighed. The scale operator will then weigh you again, and instruct you to dump the other ferrous scrap metal, such as light iron. Each time you get back on the scale, the scale operator will need to scan the weight ticket that you are given, so be sure to hold onto it. Q – Do I need to do anything extra if I have different grades of ferrous scrap metal? A – If you know you have different grades, make sure to mention it when you arrive. The Scale Operator will give you a scale ticket and may tell you to only unload one specific type of ferrous scrap metal and return to the scale to be weighed out. After you are weighed again, the Scale Operator will instruct you to dump your other ferrous scrap metal in a designated spot and return to the scale to be weighed again. The Scale Operator will scan your scale ticket each time you are weighed in and out, so make sure you do not lose it. This keeps track of your weight and the amount of money you will be paid. Q – What is “non-ferrous” scrap metal? A – Ferrous metal is magnetic, but non-ferrous metal is non-magnetic, meaning it will not stick to a magnet. Metals that are considered non-ferrous include aluminum, brass, copper, lead and stainless steel. Q – How do I recycle non-ferrous scrap metal? A – If you know you have non-ferrous scrap metal for recycling, bring these materials directly to our Non-Ferrous Metal Scale Building or “Door #2” instead of weighing your vehicle on the scale. If you have a full truck load of non-ferrous scrap metal, go ahead and weigh your truck on the scale first before bringing your materials to Door #2. Only non-ferrous scrap metal will be processed in this area and our Scale Operators use two State Certified scales to weigh smaller quantities of scrap. Once your scrap is weighed the Scale Operator will give you a scale ticket to take to the Scale Office. Once your scale ticket is processed you will need to sign a Verification of Materials form and will be given a final scale ticket receipt. Scan the final scale ticket at the secure ATM inside the Scale Office to receive payment. Q – What happens if I have both ferrous and non-ferrous scrap metal? A – Before you come to Mid-City Scrap, make sure to separate your metals. Sort the copper items with other copper items, aluminum items with other aluminum items, etc. Bring your non-ferrous metals to the Non-Ferrous Metal Scale Building or Door #2 first and unload your materials. Once they are weighed you will receive a scale ticket from the Non-Ferrous Scale Operator. Bring your ferrous metals to be weighed at the truck scale and unload your materials in the designated area for ferrous metals and receive a second scale ticket from the Scale Operator. Bring your scale tickets to the Scale Office for processing and bring your final scale ticket to the secure ATM inside the Scale Office to receive payment. Another method that can be used is to weigh your vehicle on the truck scale first, unload your ferrous metals and return to the truck scale to be reweighed and receive a scale ticket from the Scale Operator. Then proceed to the Non-Ferrous Metal Scale Building or Door #2 and unload your non-ferrous scrap metal to be processed. You will receive a second scale ticket from the Scale Operator. Bring both scale tickets to the Scale Office for processing and bring your final scale ticket to the secure ATM inside the Scale Office to receive payment.